J.Crew Cult. J.Crew Crew. J.Crew U. J(enna Lyons).Crew. Call it what you want, but Jenna curated a phenomenon: an alternative reality of surreal intrigue, where faux-quirky mean girls dominate the stage in a whimsical wonderland — Jackie O. with a mix of Wes Anderson. Unfortunately, over the past few years, J.Crew has slowly crashed and burned. Let’s look at the facts. December 2014: Annual revenue drops 2%. June 2015: 175 jobs cut. June 2015: Tom Mora (Head of Women’s Design) is fired, replaced by Somsack Sikhounmuong. December 2015: Annual revenue drops 2%. December 2016: Annual revenue drops 3%. April 2017: 250 jobs cut. April 2017: Jenna Lyons (Creative Director) leaves. April 2017: Frank Muytjens (Head of Menswear) leaves. June 2017: Mickey Drexler announces he is stepping down as CEO. There’s a current sales-decline streak of ten quarters. Two years of losses. Nearly $2 billion USD in debt. In June 2017, Drexler cited part of the problem as the brand’s introduction of higher-priced luxury line during the financial crisis. We disagree. J.Crew placed less emphasis on basics. J.Crew was drawn towards trend. 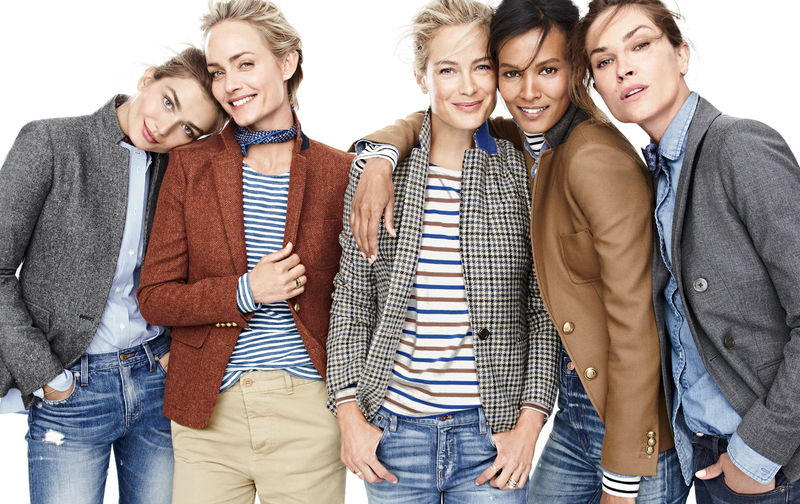 J.Crew got rid of the wrong people. J.Crew was sold to professionals and students who craved a quirky spin to their classic-&-clean look. Quality was strong for the price point. The materials felt sturdy and lasted for years. Pieces were versatile. You could go from classroom to formal chapter or office to happy hour in the same outfit. Twenty-somethings and moms would be seen donning the same get-up. You could mix and match the basics without anyone noticing you wore that navy blazer two days before. But now, J.Crew loyalists are turning away from what was once known as an institution. Around 2014, J.Crew ventured into the world of trend, and with that, lost sight of quality basics that its cult following was drawn to in the first place. On top of that, since then, there has been a shakeup in management and designers. In large part, we think J.Crew’s redirectioning was due to sister brand Madewell’s soaring performance. Madewell is known as the hip and artsy line, emphasizing its denim, leather, and tomboy pieces. In 2013, Drexler promoted Sikhounmuong to design chief. Sikhounmuong’s vision was successful, because in 2014’s fiscal year, Madewell’s profits jumped 35%. Now, Sikhounmuong is Jenna’s successor. We believe Sikhounmuong’s style will lead J.Crew’s “look,” just as Jenna’s did. We will close with this. J.Crew is taking some practical measures. In June, it announced a debt restructuring deal that is going through. However, we don’t know that this will repair the major identity crisis at hand. We hope J.Crew goes back to its roots. But with Jenna gone, we’re certainly not holding our breath.